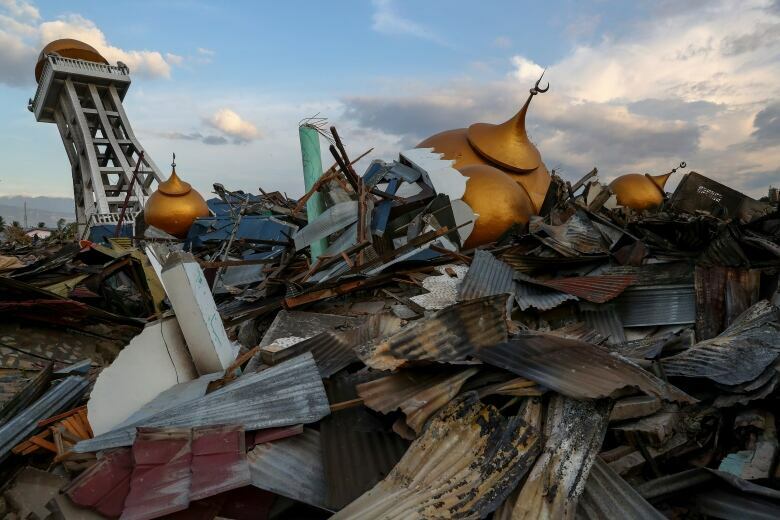 A French rescue team said Thursday it has detected a person believed to still be alive under the rubble of a hotel in Indonesia's central Sulawesi, nearly a week after it was hit by a powerful earthquake and tsunami. Philip Besson, a member of the French organization Pompiers de l'urgence, said the team's high-tech sensors "detected the presence of a victim" in the wreckage of the four-star Mercure Hotel in Palu but wasn't able to say if the person is conscious. The device is able to pick up signs of life, including breathing and heart beats, he said. He said the five-member team only had a hand drill that was not strong enough to reach the victim, who was trapped under thick concrete, and had to abandon digging as night fell. Besson said they would bring heavy equipment early Friday to try to rescue the person. "We have to drill through the concrete to be able to verify and access the victim," he told The Associated Press. Rescue efforts since the Sept. 28 quake, which killed more than 1,400 people, have been greatly impeded by a shortage of heavy equipment. A disaster agency official said the body of a South Korean was among eight dead pulled Thursday from the wreckage of another hotel, the Roa Roa, which collapsed sideways in a heap of cement and steel. As help and supplies began arriving, there were other signs of progress: Trucks were hauling in new electricity poles to replace broken ones and restringing wires. Workers said they intended to repair all the damage to the networks and substations and get them reconnected to the grid within days. The United Nations announced a $ 15-million allocation to support relief efforts, saying more than 200,000 people were in dire need of assistance. "Please tell the government and the NGOs if they're really willing to help us with some food please do not give it away through the command posts," said Andi Rusding, who was huddled with his relatives under a tarpaulin. "It's better to go directly to each and every tent. Because sometime [the relief goods] aren't distributed evenly." "It's really difficult to find water and we don't have a place to shower, but thank God we got some aid from the government, including a medical checkup," said Masrita Arifin, who was camped out a few hundred metres from her family's heavily damaged home. 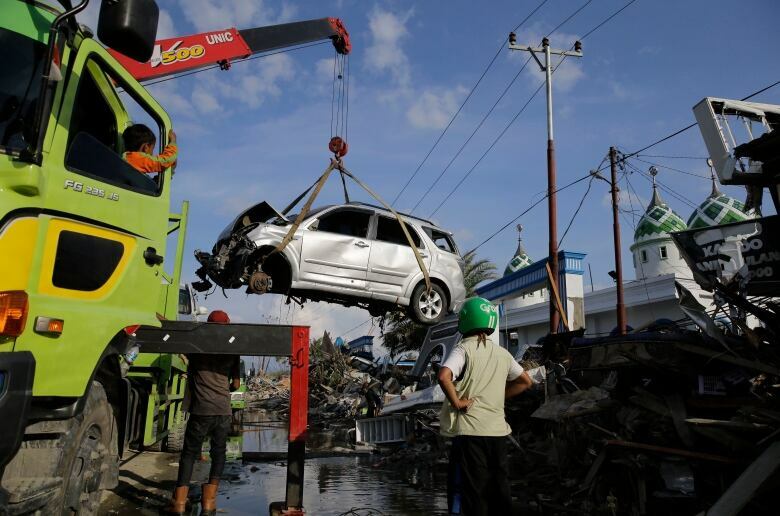 National disaster agency spokesperson Supoto Purwo Nugroho said most of the 1,424 confirmed dead had been buried. The death toll is expected to rise as rescue crews dig and comb through debris after being slowed initially by impassable roads and other damage. The aircraft will be used to transport supplies and remove victims, he said. National police spokesperson Brig. Gen. Dedi Prasetyo said security was being ramped up to ensure law and order after 92 people were arrested for looting goods such as motor oil, tires and farming equipment. Authorities earlier allowed desperate villagers to grab food supplies from shops but warned them not to take other things. Palu has repeatedly been hit by the quakes and tsunamis that plague much of the Indonesian archipelago. 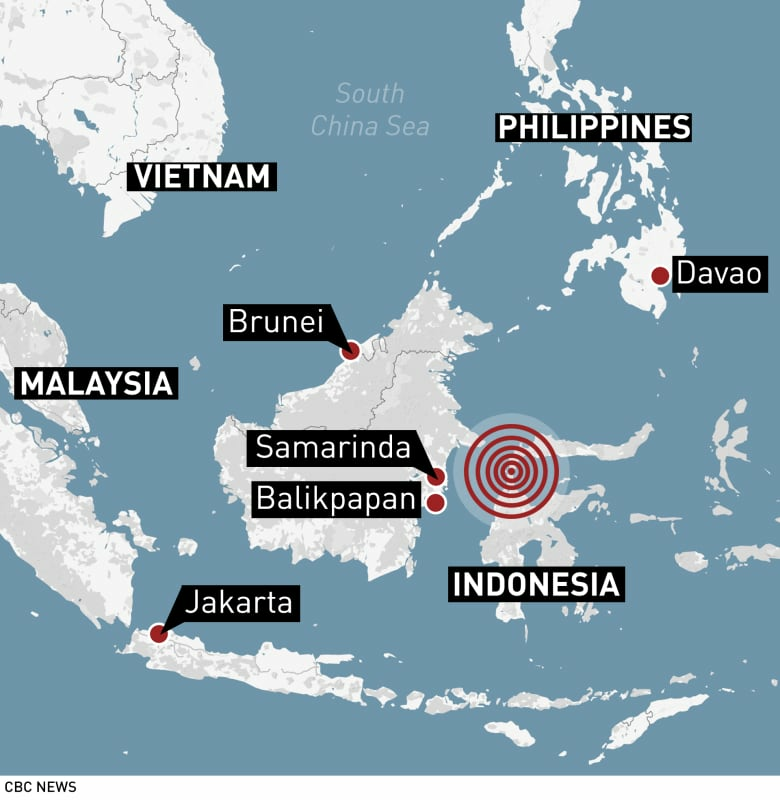 The national disaster agency says more than 148 million Indonesians are at risk in earthquake-prone areas and 3.8 million people also face danger from tsunamis, with at most a 40-minute window for warning people to flee.